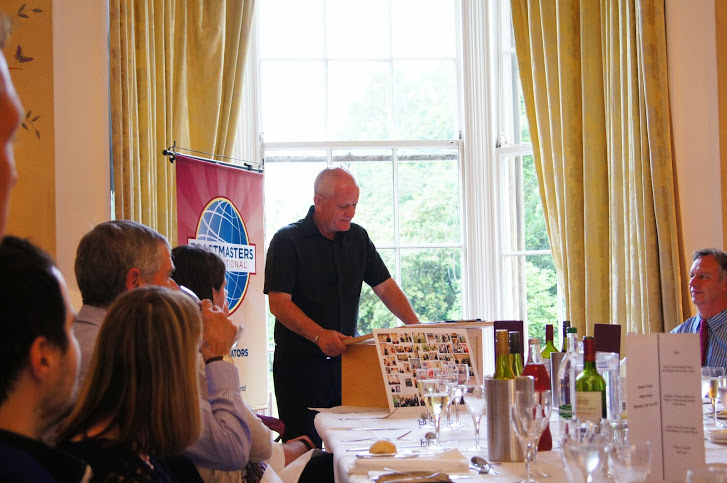 On Tuesday, 20th March, members will receive an email from Toastmasters International (TI) with a link to access PATHWAYS, TI’s new education system. If you can’t wait to get started and want access to Basecamp, you will need to select a Path. (The exception is the Basecamp Manager who will have access before choosing their Path). Either follow the link in TI’s email or login to www.toastmasters.org, go to ‘Pathways’ then ‘Access my path through basecamp’. Click on ‘Continue to path selection’ . You can opt for online or print delivery. If you opt for online delivery, you must complete the assessment before choosing your first Path (no need to complete the assessment for subsequent Paths unless you want to). Please note: Members who opt for print materials do not take the assessment and are instead taken to a web page where they can select from five Paths). The assessment consists of 30 questions and takes about 5-10 minutes to complete. Make sure you have a designated time for this because if you are interrupted in the middle of it you will be timed out after 30 minutes and have to start again. The assessment results are not stored. When you complete the assessment, you will have suggestions for 3 Paths (closest match and 2 other top matches) based on your “needs, interests and current goals” (TI). But, you don’t have to choose one of those if you don’t want to, you can explore the other 7 Paths before making a final decision. Now that you have chosen your path, you will have access to Basecamp. If you have any questions, please contact your Vice President Education (VPE). 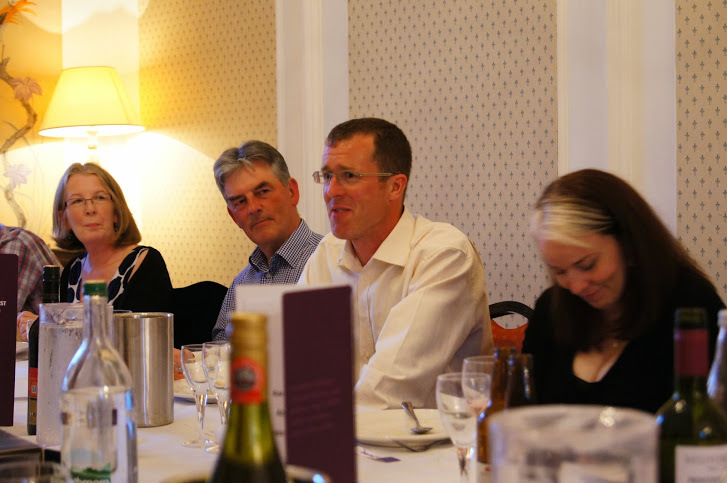 It was one of the best, if not THE best social event we have had at Waverley Communicators. 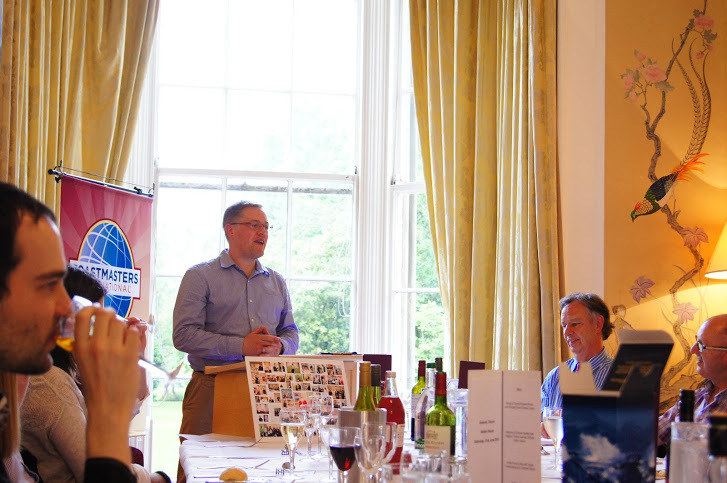 Held in the comfort and splendour of Abden House in Pollock Halls, Edinburgh, the Annual Awards Dinner was a fitting end to the a very succesful year and the club’s fifth anniversary. 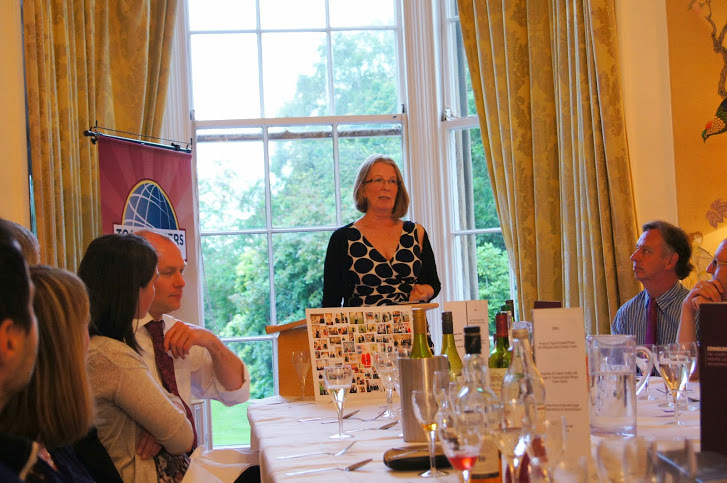 Congratulations to Eileen Scott who was awarded Toastmaster of the Year for ‘the member whose educational accomplishments, club service, dedication and enthusiasm are exceptional’. 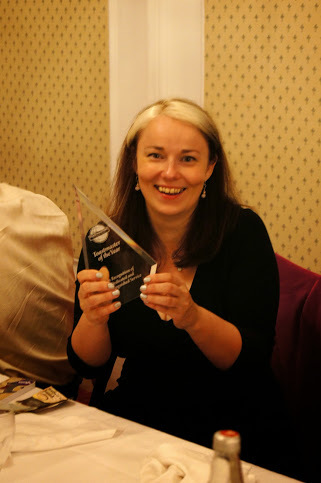 This year, Eileen gained her CL and ALB; won both the Humorous and International speech contests at club and Area level; and was our hardworking SAA always making sure that the room was set up for every meeting, remembered to buy milk for the tea and provided us with superior biscuits. Eileen is handing over the SAA’s duties to Graeme Buck when the new committee takes over on 1st July to concentrate on speeches. 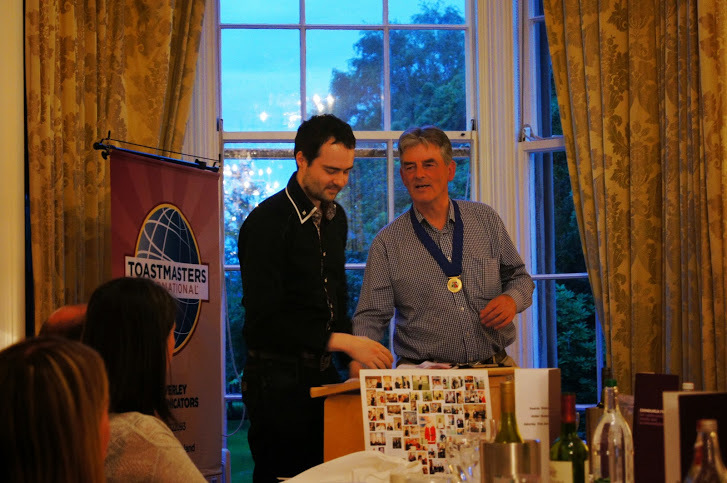 Paul Bailey was awarded the Waverley Communication Achievement Award for the member whose speaking skills have improved most over the past year. 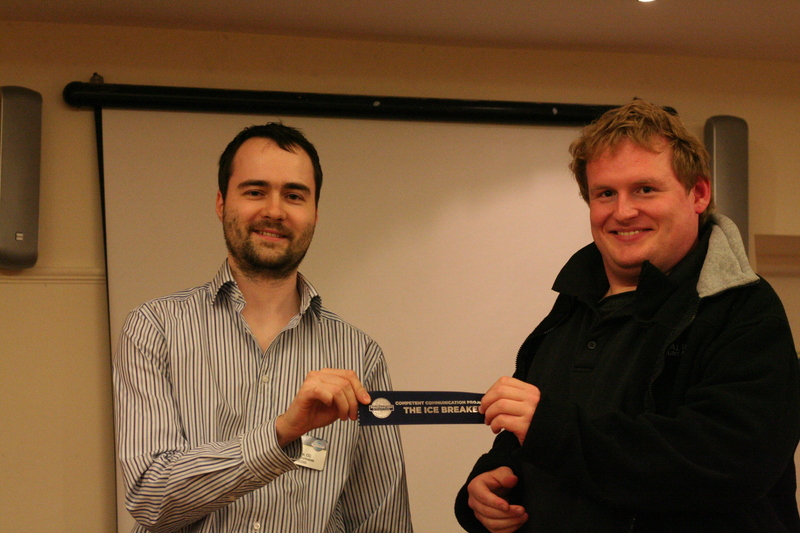 This award usually goes to a new member but although Paul has been a member for several years, the committee felt that his improvement overall, his success in club contests, the amount of speeches he has delivered, and the improvement in his overall speaking skills made him a worthy winner. Congratulations Paul and we look forward to more speeches. Every year the President awards The President’s Award to the member who they think has shown dedication and hard work above and beyond the call of duty. 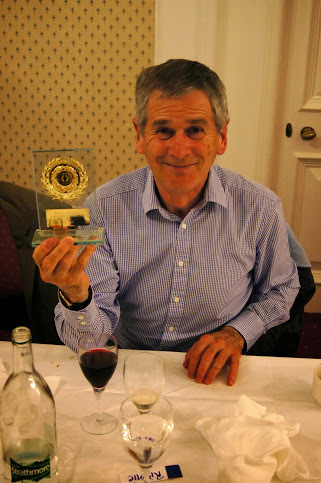 This year, that award went to the club’s VPE Richard McMahon who has managed the meetings, filled roles, encouraged members to follow the communication and leadership tracks, organised club contests and generally worked hard. Congratulations to Richard who will hand over the VPE’s duties to Aideen O’Malley on 1st July. Richard will take over as Mentoring Co-Ordinator. The Annual Tall Tales Contest is always an event to look forward to at the dinner. This year there were six contestants – Duncan Thompson, John Wood, Paul Bailey, Moira Beaton, Eileen Scott and Kevin Miller with tales ranging from being a film extra in Italy; thieving raccoons with a liking for shoes and beer in America; a brush with the Russians and nearly becoming the reluctant owner of an aeroplane; a gambling cat with her own online gaming account; the disastrous consequences of an unplugged freezer; being chased by dragons and tigers in Leith. The contest was organised and chaired by Patrick Bundy who was a very amiable host, managing to keep the hilarity under control long enough to count the votes and announce a winner – Kevin Miller, with his sad tale of a freezer unplugged and the resulting consequences. 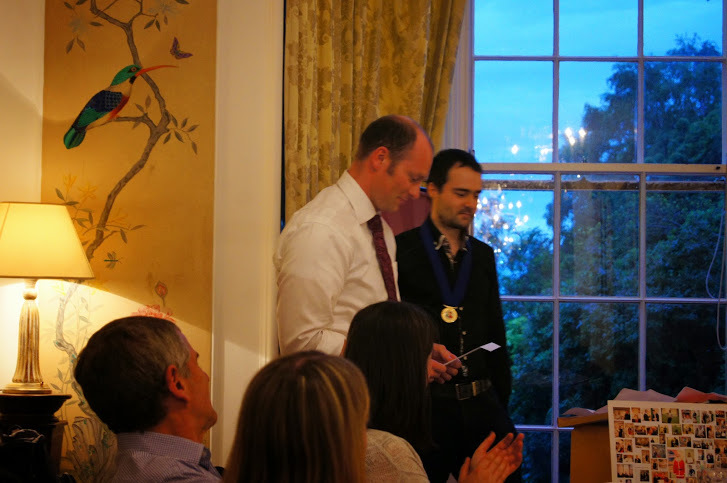 At the end of a very enjoyable evening, Kevin handed over the Presidency of the club to the new President for 2014-2015, Neil MacLure who, with the new committee, takes over the running of the club on 1st July. 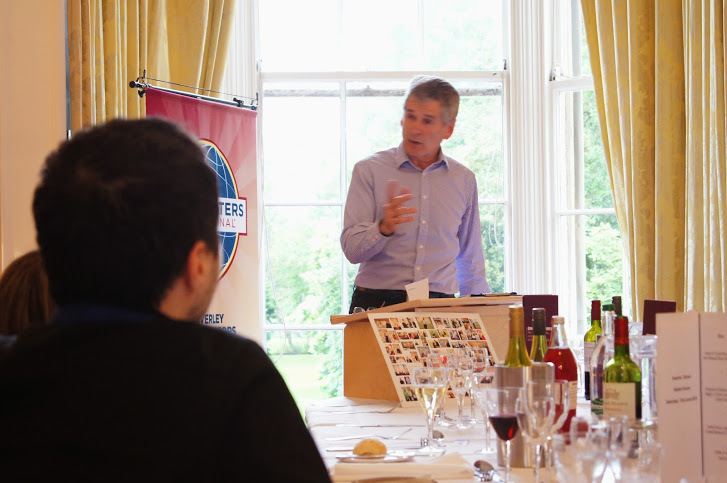 If you’ve ever wondered what makes a Toastmasters World Champion of Public Speaking, you can find out this Wednesday. And you don’t even need to travel far. Jock Elliot, the 2011 Champion of World Speaking will deliver a keynote speech and a masterclass in public speaking in our very own Waverley venue – the 28 York Place Hotel. He is an Australian Toastmaster from Bongaree in Queensland, and for him, Saturday 20th August 2011 was the culmination of 36 years in Toastmasters, competing in nearly 380 Toastmasters speech contests, reaching the world finals six times and finally realising his lifelong goal of becoming World Champion. The International Speech Contest 2011 began six months before the finals at the TMI convention in Las Vegas, Nevada, with 30,000 contestants from 116 countries competing at club level. Jock Elliot won his club contest in Australia and progressed through area, division, district and qualifying levels before finally reaching the international stage where he competed against 8 other international finalists. In his winning speech, ‘Just So Lucky’, he talks about the value of close connections with family and friends. You can watch the speech at the beginning of this post or, better still, don’t watch it and come on Wednesday and hear Jock deliver it in person. The event is organised by Haymarket Toastmasters and here are the details. There are still tickets available. How it took Jock 36 years to become an overnight success. A story of persistence, growth, disappointment and triumph, this keynote address is the story of one man’s quest after the World Championship of Public Speaking, told through some of the speeches that took him to the peak, including the record breaking six finals in the championships. As a professional speechwriter, trainer in presentation skills and mentor for academic, sales, government and private clients, Jock is able to see to the core issues of presentations, identify the point being made (or more usually not) and help tailor it to suit the intended audience, achieving economy, clarity, direction and power. 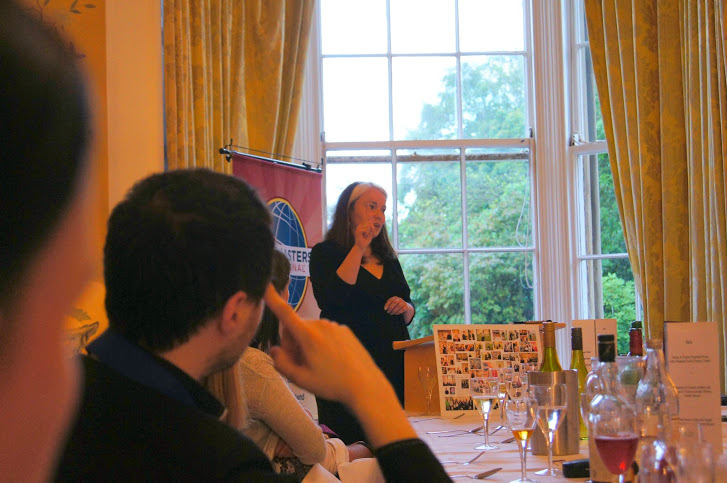 This is a unique opportunity for one Toastmaster to present all or part of their speeches and get a world class review and guidance. It was not like the Inquisition. You don’t expect the Inquisition! I had scheduled my Ice Breaker speech for the 19th June, giving me plenty time to steam towards it like the Titanic, and hope to be more successful than she in actually breaking the ice that lay before me. I should have known better than to make the comparison even mentally, for out of the blue one weekend came an opening for that very Thursday. Too late to turn. I had to take it head on. Actually, doggerel aside (which I strongly advise you not to use in your speeches!) it was terrific! I had been going to the club, Waverley Communicators, since January, had been voted in in March, and you could not find a friendlier group of people anywhere, nor a mentor better than mine. The Icebreaker speech is the first of the ten speeches in the ‘Competent Communicator’ manual of developing yourself as a public speaker. The purpose of the Icebreaker is to showcase, to yourself and to everyone else, your existing public speaking skills. Most of all, it’s to introduce yourself properly to your fellow Toastmasters. On the night, I went to the front of the room, clutching my notes like a comfort blanket, and was greeted with a warm handshake, a wink and a mouthed ‘Good luck’ from club stalwart Eileen Scott, and turned to face an array of smiling faces. For the first speech, you are allotted four – six minutes. In twenty, as Philip Marlowe said, ‘you can sink a battleship, down three or four planes, hold a double execution. You can die, get married, get fired, and find a new job, have a tooth pulled, have your tonsils out.’ Approximately five minutes to say all you need to say should be a doddle. I took six and a half. What can I say – I find myself interesting subject! The challenge is to make your audience interested as well. 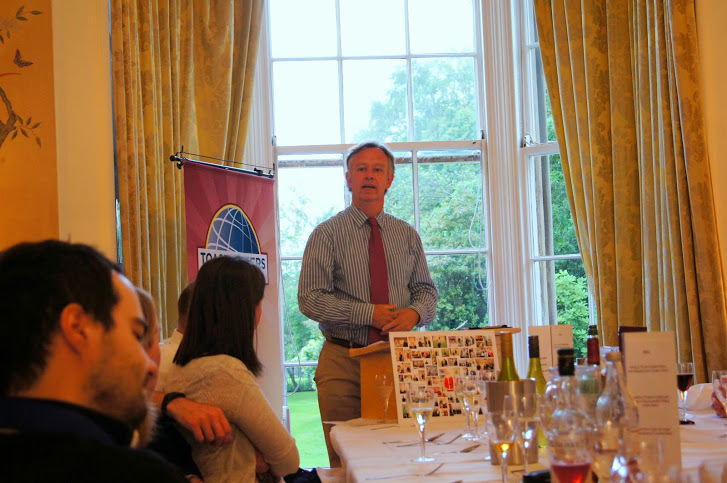 But the secret of the incredible success of Toastmasters in turning out confident and eloquent public speakers is not just the course itself, excellent as that is. It is the close knit community spirit, and the desire of everyone there to help improve everyone else. After each speech, your evaluator and your mentor give you both praise and advice, so you know what you’ve done well, and what you need to improve. You can relax among your fellow Toastmasters, and because of that the words flow, and the confidence builds. 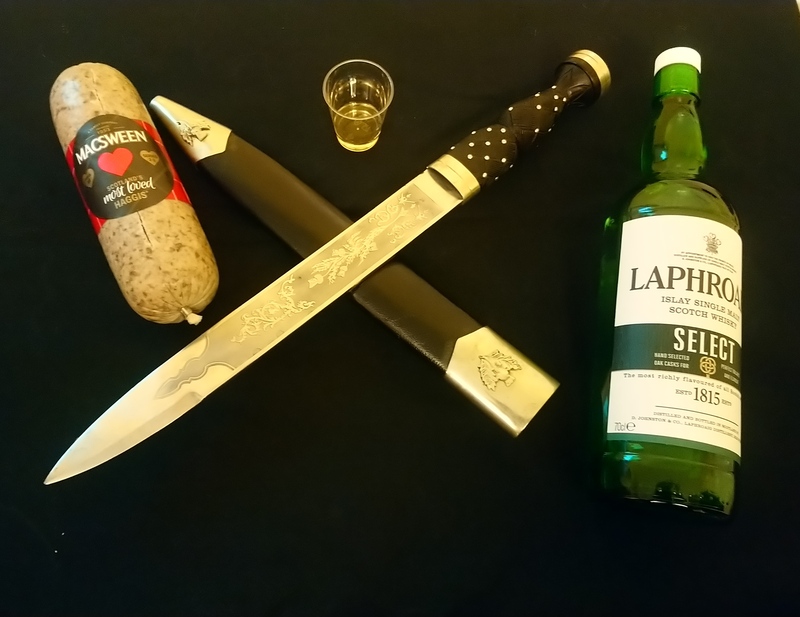 After just four months there I have found myself at home as I have in few other places, and would eagerly recommend it to anyone. Are you still here? What are you waiting for? Come down to 28 York Place on Thursday 1st May and see for yourself.